Should we replace meat with insect derived protein? We should replace meat with insect derived protein. In many regions of the world, the consumption of insects is a long held tradition. Insect farming is more cost efficient, uses less space and can produce more protein. Insect meat, e.g. crickets, is highly nutritious and can replace meat nutrients. Insect farming can be done in a more environmentally friendly way than conventional farming. 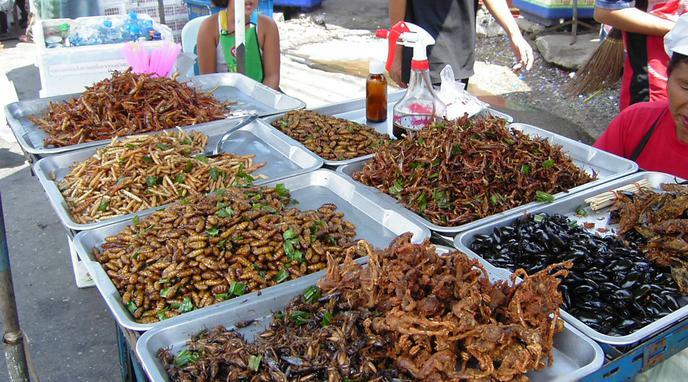 Eating insects can appeal as a novelty factor. As insects have no conventionally understood emotions and most probably do not feel pain, killing them for food is less ethically questionable than killing other animals. ingesting allergens, pesticides and toxins. Traditional meat sources that were farmed and slaughtered could also be replaced by cell-cultured meats or plant alternatives. The Ethics of Eating Animals: Is Eating Meat Wrong?